It’s a first for The Hallremark–a very unexpected and exciting first! I was given the opportunity to review Hallmark Publishing’s original Christmas novel–Alys Murray’s The Christmas Company. As my toddler does when she’s pumped up about something, I’m going to let out a hearty yeehoo, yeehaw! The book is set in Texas, after all. This review is recap and spoiler free, so let’s leave the summary of The Christmas Company to Hallmark Publishing’s description. The small town of Miller’s Point is known across the country for their annual Dickensian Christmas festival. When the festival is threatened by Clark Woodward, a miserly, big-city businessman, Kate Buckner steps up to save her hometown, their traditions, and her favorite holiday. But, along the way, she realizes that the man she’s trying to protect her town from might need some rescuing of his own. Sounds fun, right? It is! Warning: This book is R-O-M-A-N-T-I-C. And, if you don’t want to read a story so romantic and so magical, perhaps like Clark Woodward, you also need a Christmas and love fueled intervention. I fully expected to enjoy The Christmas Company, but I didn’t expect to love it. I didn’t expect myself to feel the need to purchase a physical copy even though I was sent an Advance Reader Copy in exchange for my honest review. I didn’t expect to fall in love with Kate Buckner’s enthusiam, Clark Woodward’s caged heart, the town of Miller’s Point and their A Christmas Carol-centric celebration during the holidays. I stayed up until 1 am reading it, and felt the pain of having to put it down so I wouldn’t be a complete zombie the next day. I was reminded of the joys I had as a kid reading past my bedtime, willing myself to stay awake so I could read one more chapter. Or, in middle and high school when I would read a teenage romance, my heart racing in anticipation of when the characters would finally reveal their love for each other, or to lean in for their first kiss. My heart stopped on numerous occasions. I gasped like an idiot. “Did he just accidentally call her beautiful?” I was dizzy from the fumes of cinnamon, sugar cookies, and pine leaking from the pages. I melted when Kate wanted to know what Clark’s singing voice sounded like—such a small detail with so much impact. Truly, the many small details throughout invested me in this thoughtfully and beautifully written tale. AND DON’T GET ME STARTED ABOUT THE DANCE. Woah, buddy. The Christmas Company has a classic feel. Perhaps it’s because Miller’s Point lives in the 1800s during the holidays. Perhaps it’s because Kate is so deeply rooted in tradition, and Clark is trapped by his past. It is definitely due to Murray’s prose. The language feels soothingly old-fashioned, yet is also filled with fresh and inventive imagery. Sweetness is balanced with real tragedy, and uses of words like “frippery” are balanced with mentions of Scrooge McDuck. Sincerity grounds the perhaps unrealistic sweetness of the story and setting. It’s a sincerity that you trust and fall for. If you’re looking for warmth, but aren’t near a blanket, fuzzy socks, or a cup of hot chocolate, Murray’s voice can make up for any one of those–if not all three. Obviously I am a fan of Hallmark Channel original movies. 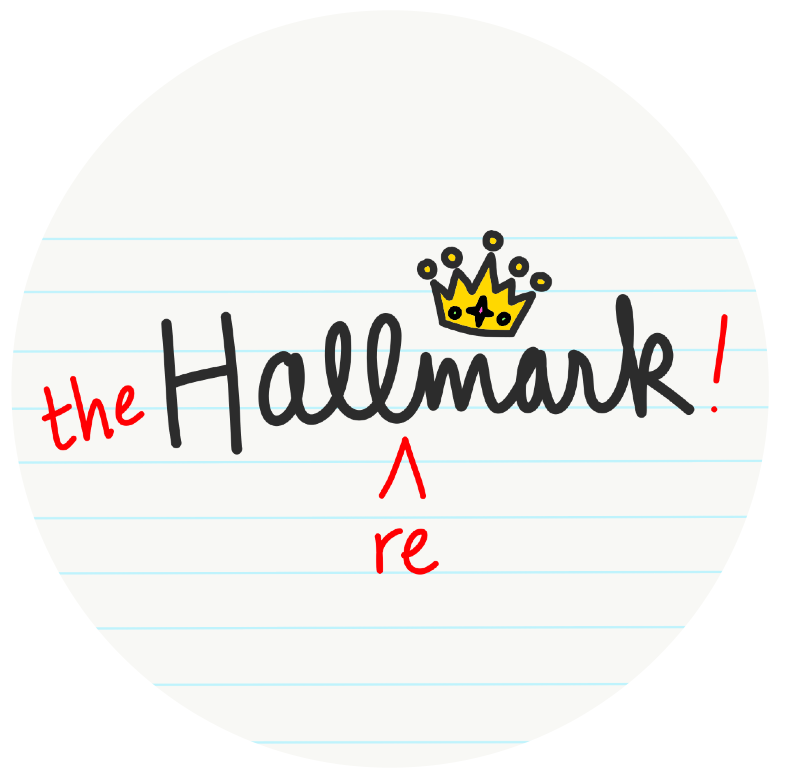 Just look where you are–an entire blog devoted to recapping and reviewing Hallmark Channel original movies. But this—this is a whole other league. Not always, but sometimes I find myself craving more when it comes to Hallmark movies—more backstory, more depth, for them to feel and look more expensive. The Christmas Company is Hallmark stepping up its game. The Christmas Company is Hallmark with whipped cream and sprinkles on top. If you do not hear me, I am clapping. I rate The Christmas Company The Carpenters’ Christmas Portrait which is a 4.5/5 on my scale of Things That Give Me The Warm & Fuzzies. Yes, I understand. You’re probably thinking: Uh, Emma, you gushed so much that I’m about to drown in the sugary maple syrup of your praise. Why not a perfect score? I have a small critique about a minor character, but if I would spell out my issue, part of the story would be spoiled–and we can’t have that! But, it’s not too big of an issue to keep me from reading it over and over again. The Christmas Company is out on October 16, 2018. Find out more about it here. Thanks so much for reading, and let me know what you thought about The Christmas Company! Hi, great review- how does it stack up against Debbie macomers books or Donna van liere, which the movies are based on? I wish Hallmark would do radio plays of their movies. I’m so glad you got to do a review. I’ve been wanting to try Hallmark’s books. I liked the one I read but it was based on one of their movies so there wasn’t that sense of discovery.